There is not a single person I have met on my extensive travels who has not had the Great Barrier Reef (Australia) on their bucket list. 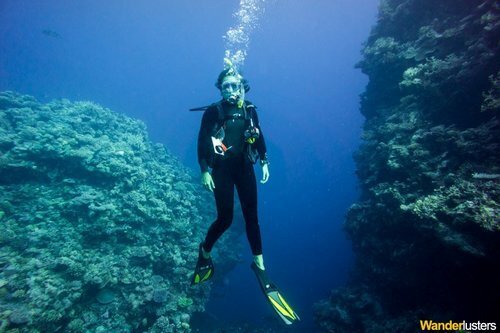 While I have been to part of the reef, I’ve never experienced it like Ben and Charli from Wanderlusters, who, as trained dive-masters can truly say they have experienced the reef in all its magnificence. The Great Barrier Reef is the largest coral eco system on the planet and consequently has become a Mecca for scuba divers all over the world. 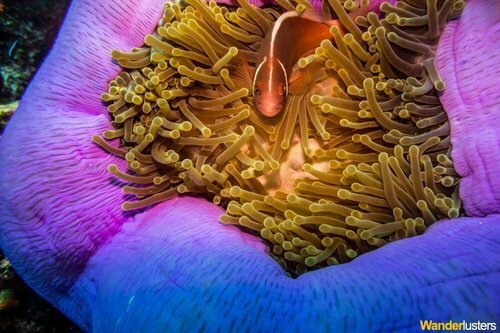 With the opportunity to get up close to incredible examples of Mother Nature’s phenomenal creativity getting your head underwater when visiting the reef is a must. As trained Divemasters we utilized our qualification to work on the dive deck of a 5 star live aboard that takes more adventurous divers to the Ribbon Reefs on the outer edge of the Great Barrier Reef, and Osprey Reef in the Coral Sea. Spending two weeks at sea and diving 3 or 4 times a day we really immersed ourselves in the spectacular underwater world of the reef. 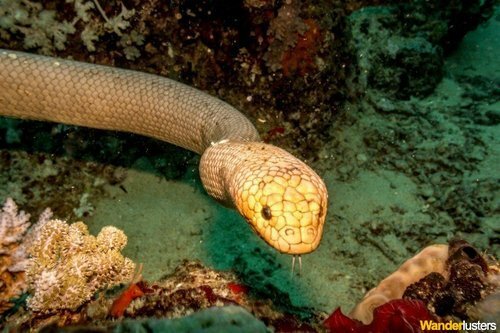 The dive trip combines some of the most famous sites on the reef including the Cod Hole, Steve’s Bommie, Pixie Gardens, Snake Pit and the exposed open ocean dives at Osprey Reef. 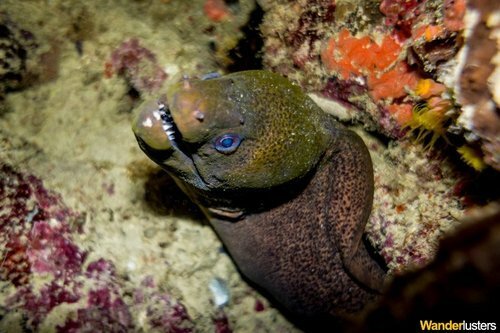 The Cod Hole is home to some fascinating specimens that dwarf a lot of the divers who visit! 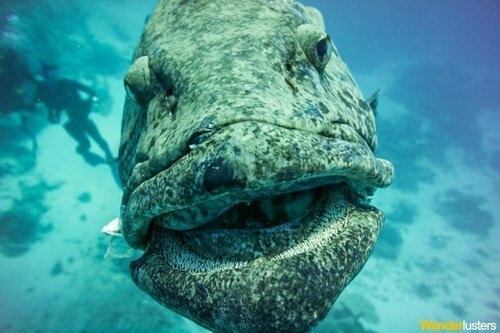 Inhabited by gigantic Queensland groupers, often referred to as potato cod, these fishy beasts reign supreme and treat divers to an glimpse of some of the larger species who live in the tropical waters of Australia’s coast. 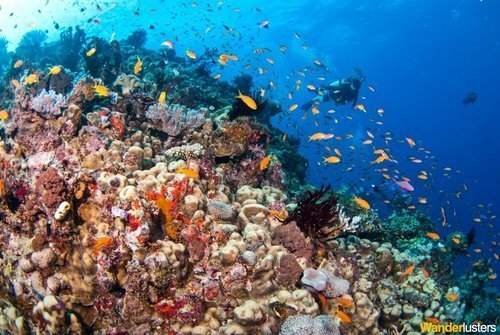 While many people imagine the reef to be one long stretch of coral in reality it is made up of lots of islands, reefs and atolls that provide stepping stones for the marine life who zip in between reefs on a daily basis. Steve’s bommie is an example of one of the smaller pinnacles that rise from the ocean floor and offer shelter from the surrounding expanse of ocean. A dive here will showcase the wealth of brightly colored reef fish that swarm in schools throughout the tropical waters. 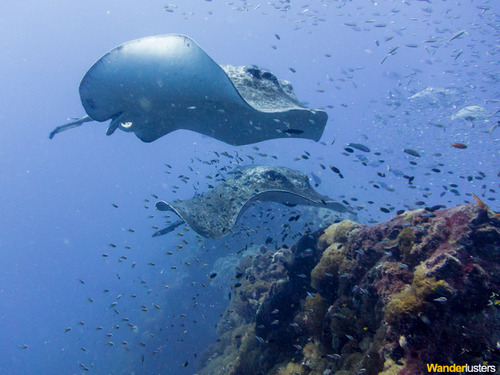 It is a great spot for macro life and we were fortunate to see a whole heap of magnificent creatures on our dives here. 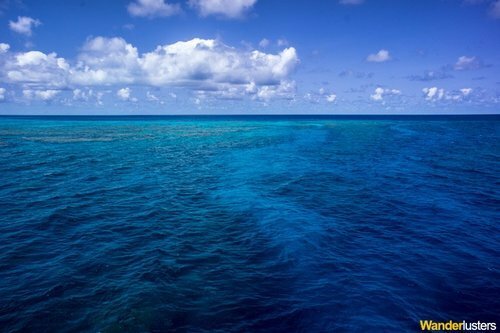 Once we had explored the outer edges of the Great Barrier Reef we sailed out into the vast surrounds of the Coral Sea to Osprey Reef, a submerged atoll 150km from Australia’s shore. Reaching up to the surface from depths of over 2000 meters the reef attracts creatures who prefer access to the open ocean and inky darkness of deeper water. 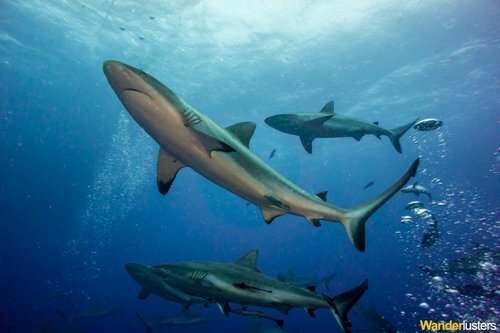 Consequently while diving here you can see giant manta rays, hammerhead, whaler and reef sharks along with a whole host of pelagic species of fish. Osprey is famous for the shark feed dive at North Horn which gives divers the opportunity to watch these incredible creatures feed in their natural habitat without the need for a protective metal cage. While the concept sounds a little suicidal the reality is far removed from this perception of shark behavior. Content to feed on the tuna heads provided by the crew the sharks are inquisitive but not aggressive towards the divers. Obviously we were advised not to make any sudden movements however the likelihood of an attack is miniscule thus the event takes place on a weekly basis. Our time on the Great Barrier Reef was some of the most memorable from our journey so far, and we feel so privileged to have witnessed such a vibrant array of life within one of the natural wonders of our planet. It saddens me to think that the reef system and its inhabitants are under threat from human negligence and I pray that we can work to prevent further damage to such a spectacular corner of our earth. 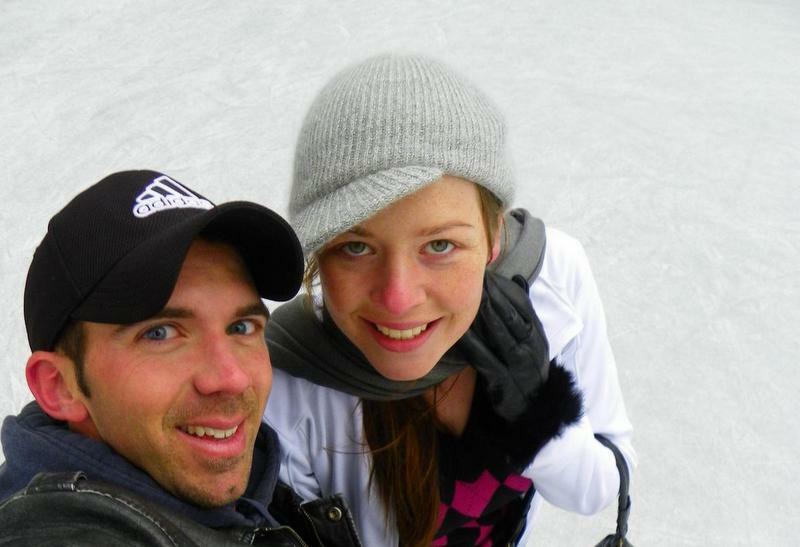 Ben Jones and Charli Moore are a nomadic couple who are slowly travelling the world one house sitting assignment at a time. beautiful photos and great narrative… I work at the research station at Lizard Island, very close to where you were diving, and have dove many of those sites… such a gorgeous area… so nice to see others enjoying it as much as I do! What a fantastic job to have! We’ve heard wonderful things about lizard Island and have it on our bucket list for when we come back through Australia next. Maybe we’ll bump into each other! Ok seriously – how do people take such beautiful under water photos?! My snorkelling ones all come out looking the same sort of shade of blue!